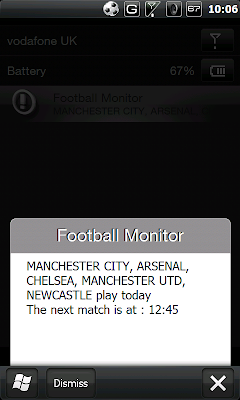 Football Monitoring Service which alerts you when a team is playing and on score updates. Configurable for teams, and frequency of update. Works with lots of major leagues round the world. 0.2 - Fixed a few bugs, made multiple alerts re-use windows rather than open new ones. Added list of teams, I have collated.